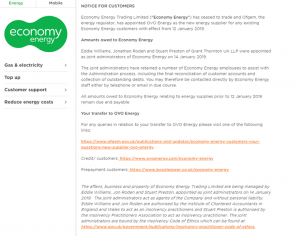 The table below lists UK energy suppliers which have gone bust since November 2016. Although there were occasional failures prior to this date, they were few and far between. 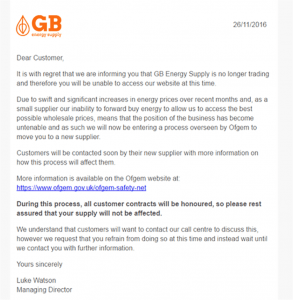 GB Energy Supply, which spectacularly imploded in November 2016 marked the first of the failures of the huge wave of domestic energy suppliers that entered the UK energy market under Ofgem rules that allowed energy suppliers to get a license with little if any capital, and with no relevant industry experience. 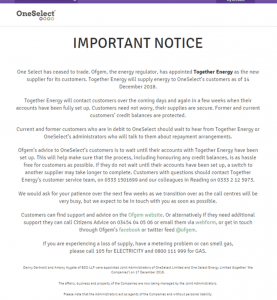 We’ll update this page with new data as more energy companies collapse. 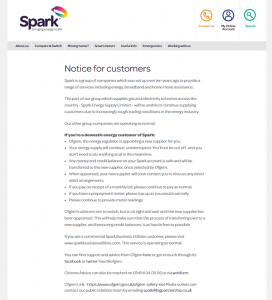 Please check back regularly (if you’re into that sort of thing). 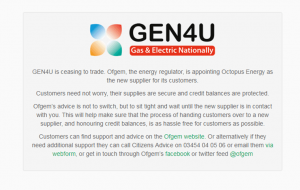 In the meantime, if your old energy supplier appears on this list here is what you need to do. The data in the table below has been sourced from multiple public domain sources. 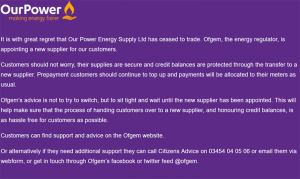 Source data includes announcements from industry regulator Ofgem, cross-checked with energy supplier websites and Companies House filings. 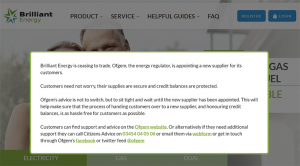 The Supplier column shows the name of the failed energy supplier. 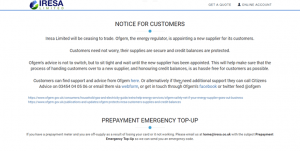 The new supplier column shows which energy supplier was appointed by Ofgem to take over the failed supplier’s customer base under the SOLR (Supplier of Last Resort) provisions. 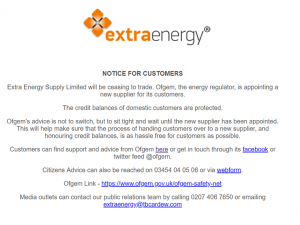 For the record, here is a list of energy suppliers who have exited the market in a more orderly way (without crashing and burning). 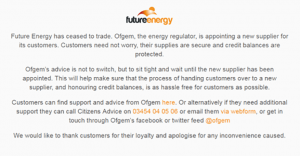 And here is the sorry story in pictures….in reverse chronological order. That’s all for now. More to follow we’re sure.